October Monthly Mini Model Build is going to happen in Toysrus. 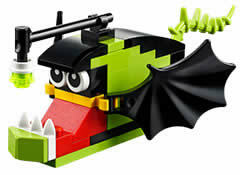 Kids are invited to participate in the event to build a Lego Angler Fish model and take it home for free after it. Quantities are limited to approximately 120 per store per night and time reservations are on a first come first serve basis. One registration with a maximum of 4 children per household. One free set per child. You have to register. Please note that this event is open to children ages 6-14 only due to safety restrictions. Date of the Event: Oct 5th and 6th. Want to know about November month event? Keep in touch with DealsFall.com. Please share the news with others.